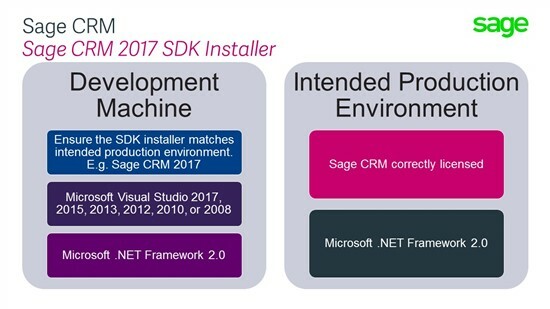 To coincide with the release of Sage CRM 2017 R3 the Sage CRM SDK Installer has been revised. The new SDK Installer can be downloaded from the download folder "Example Components & Developer Resources (All Versions)". Note: You must be logged onto the community and have Developer rights to access these resources. This SDK contains contains templates and example projects in addition to 243 snippet files for use within Visual Studio. 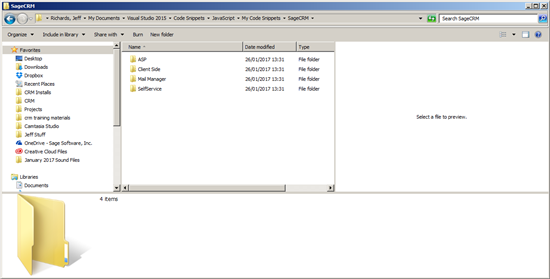 These code snippets will also be installed, along with the example projects and templates, as part of the SDK for Sage CRM 2017. Partners who are not members of the Developer Program can still use these snippets that have been created by manually adding them to their Visual Studio environment. These snippets were created and edited under Visual Studio 2017 Community edition. 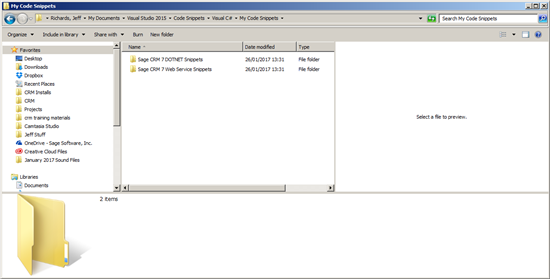 These snippets are compatible with all currently supported versions of Sage CRM. The installer containers 243 files within 3 main subfolders. Where there will be 4 folders created. The SelfService snippets are new in Sage CRM 2017. Where there will be 2 folders created. 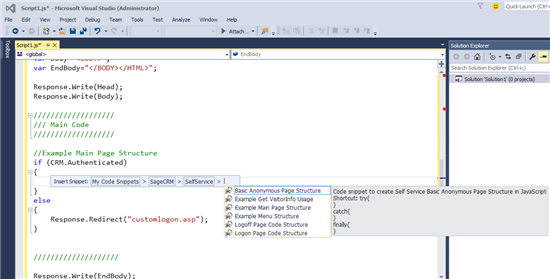 Once the snippets have been unzipped they will be available in Visual Studio and accessible like any code snippet. The link above brings to a "Resource not found" page. Where can I find the 2017 R3 SDK, please? The link above directs to "Not Found: Resource Not Found" page. Where can this be found for download please? The 'Resource not found' message keeps coming up. Is there any other access right beside having a profile on the community. If there is a way to change the access right then how long does it take. If there is a link can i please have it. Can you contact sagecrmteam@sage.com if you think you should have access rights to this.